As marketers, we often struggle to communicate our impact on our organization. We struggle because we are so entrenched in the day-to-day tactics and overall strategy that we have a hard time seeing the bigger picture. And we struggle because, at the end of the day, our organization seems to only care about revenue. But what if we could deliver a report that concisely tied our marketing efforts to the bottom line? Our free Iterative Marketing Executive Report Template helps do just that: to build and deliver a monthly marketing report that effectively communicates the incremental improvements that our marketing efforts bring to the organization. How Is This Different From Any Other Marketing Report Templates? Programs are at the intersection of an audience and an objective. All of the tactics that are used to get that specific audience to meet that specific objective contribute to the program. By grouping our reporting by program, we are able to show how our marketing investment has translated into short-term revenue gains. We do this by showing how much we spent for each program, and what we got for that spend. Keep in mind that true ROI can only be reported after the sale has occurred, which is why we must use KPIs to forecast projected revenue. Short-term revenue gains only tell part of the story. To truly show the value that marketing brings to the organization, we must also report on the long-term assets that we are building, like content, brand and data. While these assets do not equate to immediate sales, they do set us up for success in future marketing endeavors by helping us to grow our known audience (our database), addressable audience (first-party cookie data pools), and brand awareness. In providing snapshots of our metrics for specific points in time, we are also able to graph trends over a longer span of time. This allows us to report changes and improvements over time. The Iterative Marketing Report takes this a step further, as improvements are the direct result of purposeful experimentations and optimizations. We are purposeful in our careful selection of testing and analyzing variables that can be carried over to other channels. These experiments and optimizations are the basis for the continuous improvement for which iterative marketing strives, and contribute to repositioning marketing as more than just a “demand generation” department in the eyes of the organization. Insights generated from experiments are new pieces of information that can add value to an organization as a whole. These insights provide data-driven intelligence that, when applied, can lead to new product development, enhancements to customer experience, and process improvements that have a significant impact on the entire organization. When shared beyond the four walls of marketing, they re-position the department as an insight generator that adds value to the bottom line and beyond. Who’s is This Report For? This high-level executive report ties marketing efforts back to measurable reports and is ideal for anyone with a vested interest in marketing. This includes the C-suite or executive team who are responsible for approving the overall marketing budget (and performance review) as well as investors who want to know how their investment is being managed. This report is also ideal for other departments in the organization. 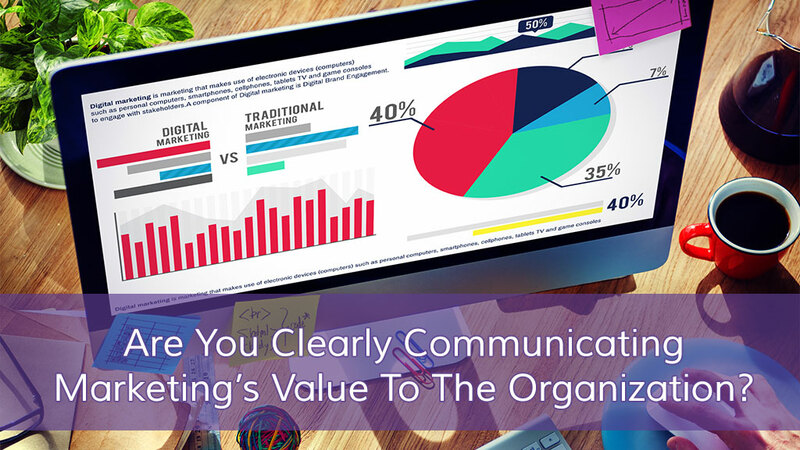 Sharing the marketing report across the organization will give other departments a better understanding of marketing and the value that it adds to the company. It also helps to increase transparency in the marketing process. Transparency will lead to improvements across the board including improved alignment and enhanced engagement, which will result in better solutions to problems and an overall stronger relationship. What Do I Report On? The key is to keep the report short, sweet and in line with the needs of the internal stakeholders who will be consuming this information. In our free iterative marketing reporting template, we recommend starting with seven slides, however this may need to be modified in order to meet unique organizational needs. Provides a high-level overview of media investment for all programs, including spend and revenue. Actual revenue is reported where available, with a projection for forecasted revenue (based on KPIs) through the current month. Shows shareholders what they are getting for their investment. The media investment for the program is carried over from the first slide, and additional information like impressions, engagements, KPIs and projected revenue and ROI are added to it. Since KPIs will vary by organization, you will want to make sure that you focus on the metrics that best contribute to projected revenue and ROI numbers. As always, graph key data to show trends over time. Measuring brand as a long-term asset can be done at three levels – brand awareness, brand alignment and brand resonance. In our marketing report template, we focus on awareness, or what percentage of our audience can recall our brand. While this only tells part of the story, it provides a metric that can be consistently measured and the trend monitored over time. To address the two other components of brand, a brand vector survey should be conducted annually. The Audiences Slide presents two types of data – our known audiences (contacts in our database) and our addressable audience (anonymous online visitors that we are able to retarget through cookies or IDs). Our Addressable Audience graph shows the change in total audience size of all cookie pools, while the Leads graph shows the trend over time both in terms of marketing and sales qualified leads. These known audience and the addressable audience cookies give us a way to consistently deliver familiar, relevant and appealing content to people, encouraging them to engage with our brand. Content is considered a long-term asset because once it is built it (if evergreen) can be reused or recycled to acquire new prospects and nurture current leads and customers. And as quality content is neither easy nor cheap to produce, it is important that we report on it as being a long term asset. The key for this slide is to report on the volume of evergreen content and the impact that this content has on our company’s SEO as well as the number of engaged new prospects that are being driven to our brand as a cause of it. Highlights relevant and timely insights to our organization’s decision-makers so that they can act on it. In our experience, this slide is best delivered as a bulleted list of insights that can be shared across the entire organization. The Iterative Marketing Executive Report provides a high-level overview of marketing spend and activities that is directly tied to the incremental improvement that our efforts have generated. While this information is insightful, your internal marketing department team members will require more detailed reports to make the necessary program optimizations that will show continuous improvement over time.